Houston Therapist: Jenny Deitz - Therapist 77062. Send A Message To Jenny. 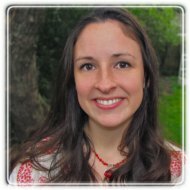 As a Licensed Marriage and Family Therapist Associate, Jenny Deitz has completed over 500 clinical hours of practice through the University of Houston Clear Lake’s Master's in Family Therapy Program. During that time, Jenny focused her attention towards those that she feels most called to serve – clients struggling with eating disorders and self image concerns. Jenny has extensive training in Emotionally Focused Therapy which enables her to journey with her clients through uncomfortable emotions to come out feeling empowered and understood.